One of the world’s deadliest mosquitoes sustains its taste for human blood thanks in part to a genetic tweak that makes it more sensitive to human odor, according to new research. This entry was posted in Abenaitwe Cliff, Health and tagged Abenaitwe, Abenaitwe Cliff, Cliff Abenaitwe, Mosquitoes. For over 50 years now, Buhweju has been mining gold- one of the precious minerals in the world. However, this western Uganda mountainous district is still grappling with poverty and poor social services as gold continues to ‘flow’ from this area. I took a weeklong trip to this relatively new district to establish the contribution of the mining industry to the local government economy. Buhweju district has eight sub counties and half of them have huge gold deposits. Nine companies are today operating in this area but all the nine gold dealing companies have prospecting licenses. As the name of the license type suggests, these companies are involved in assessing the gold potential of the district. As the licensed companies go on with their work, the small scale individual gold miners are also busy looking for livelihood from the ground. In 2013, the Ugandan president directed that these small scale miners should stop but this fell on deaf ears. 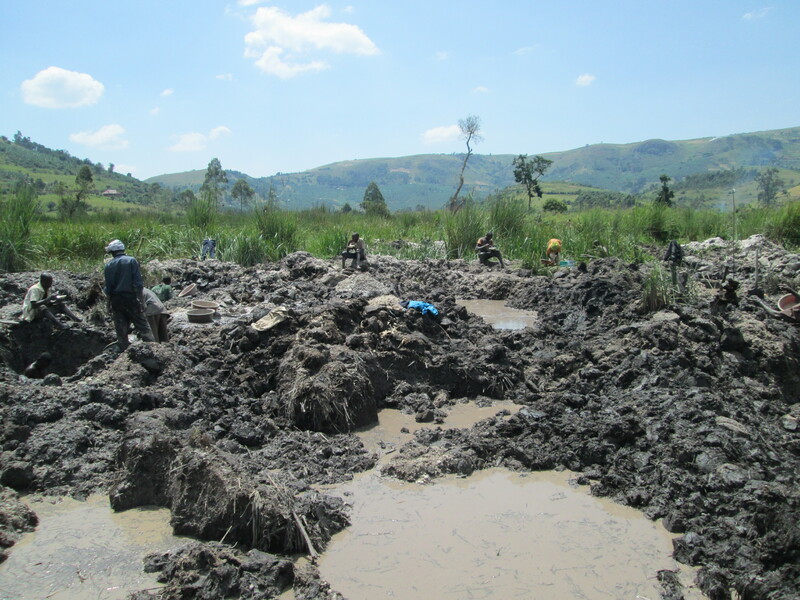 Unlike in Tanzania (Geita District) where gold mining is in the highlands, gold mining in Buhweju is in swampy areas- something that raises key environmental worries. On my trip I first stopped in Bisya Sub County and the area is Bukoto village where a wetland is steadily vanishing as hundreds of energetic men and women search for gold. Every morning these people come to this swamp to mine gold. With their rudimentary tools, they dig -some as deep as 8-12 metres to extract sand which they sieve to get gold. “I come here every day to look for money. Using my hoe and spade, I dig the ground to extract the sand where I get gold from. Sometimes the sand is too deep in some areas so I dig much deeper”, a determined Byarugaba Alexander of Bukoto Village told me. 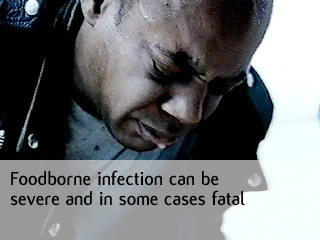 However, not every day is good for Byarugaba and his colleagues. Richard Matsiko, a miner in Bukoto’s neighboring gold mining village of Kyenjogyera told me that it’s not surprising digging the whole day and one fails to get anything. “Sometimes we work the whole day and fail to get anything but we must go on the next day”, he explained. 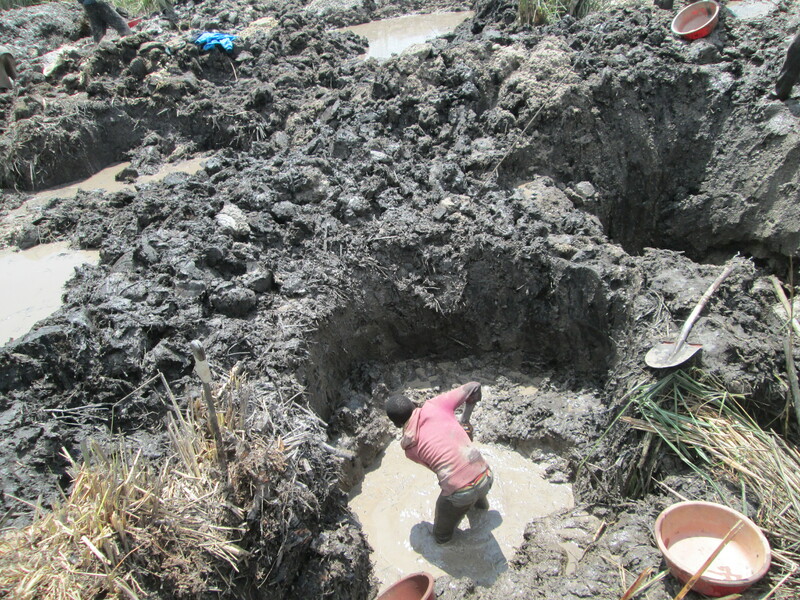 Apart from failure to earn a penny, these determined Ugandans have to also cope with flooding of their mining area since it’s a swamp, ‘harassment’ from Environmental officers, fluctuating gold prices as offered by the local dealers in the area as well as unfriendly weather conditions during the rainy season. Despite all these hardships, those involved in the industry are happy with the way things are moving as they have been able to earn a living from the trade. Local miners are smiling on one hand as district leaders lament over the little contribution of the gold mining industry to the economy of the area. 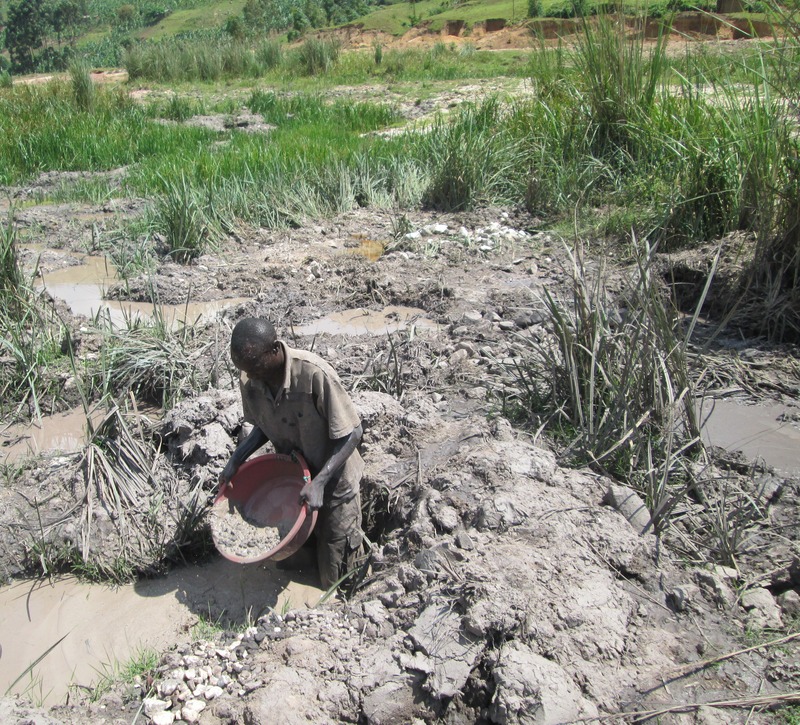 According to the district chairperson Sebastian Kerere, the district does not get taxes from the gold dealing companies operating in the area neither are they engaged in any activity as part of their corporate social responsibility. “These companies are not giving us any money because they are only prospecting according to their licenses. They are also not involved in any pro-society act like road construction yet they use the district infrastructures. I can honestly say that as a district, we get nothing from them and from our gold”, he elaborated. 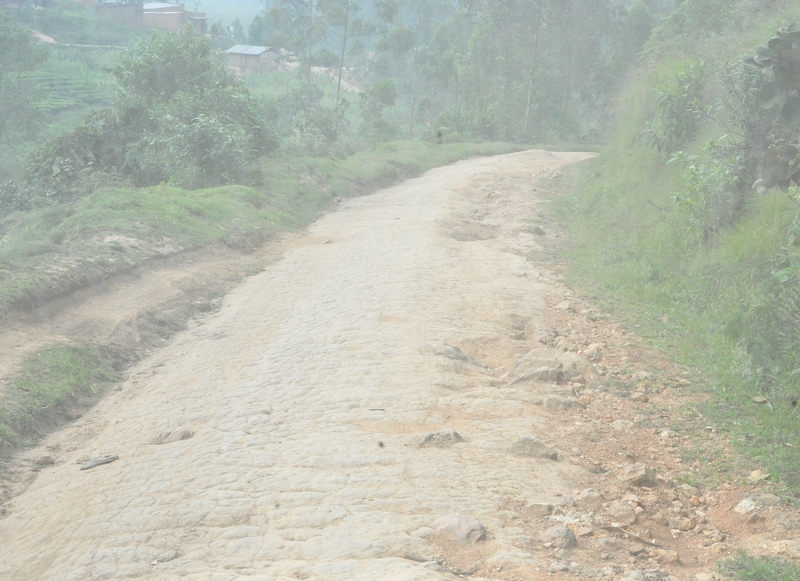 Roads in Buhweju district are poor despite the gold resource. A visibly unhappy Kerere explains that the licenses given to these companies ought to be clear to the district. “We are not getting any money from these companies because they claim to be prospecting in our district. What is unclear to us is where they take the gold they get in the process of prospecting. If we knew the amount of gold they get, we would be in position to levy something like a tax on them” a worried Karere elaborated adding that government ought to explain the duration of the prospection and the handling of the resource got in the process. Other leaders also agree with the district chairman on this. Alison Ayetoranire Byamukama, the Special Presidential assistant on Buhweju affairs wants government to revise the current law on mining to allow local governments to have an extended say on licenses, production and sharing of the benefits rather than all these powers remaining at the responsible Ministry level. In every mining area I visited, over 70 percent of the miners were energetic young men of school going age. Olive Koyekyenga, the district Woman Member of Parliament says that many youngsters have abandoned schooling to join the gold mining industry where they get ‘quick’ money. “We have high illiteracy levels here because our children abandon school to join the mining industry. These young energetic youth should be the one involved in agriculture but this sector has been left to the old people. This is a bad trend that must be checked for the good of the future of this country” Mary Bashongoka- the district council speaker explained. Apart from providing a source of income to hundreds, in the financial year 2011/2012, Buhweju district got four million shillings (about 1600 US dollars) from government as its share from the resource. “Yes we got this money but we are asking ourselves, this is a portion of what/how much? This is too little money and cannot do anything tangible in this vast district of ours” Kerere, the district chairman noted while speaking to me at the district headquarters in Nsika town. This amount is far less than one percent of the district’s 2013/2014 financial year budget. For the last (2012/2013) financial year, Karere notes that they are yet to get any penny from the government. Perhaps this explains why Buhweju still has many infrastructural problems like poor roads, poor hospitals, poor schools, poor electricity coverage as well as a big portion of the district population without access to clean gravity water. Compared to other gold rich districts with in the East African, region, one sympathizes with Buhweju leaders when they cry of injustice. Manzie Mangochie- Geita district commissioner in Tanzania told Journalists last year that they get 200,000 US$ from the gold mining company operating in the area and to him this was too little. 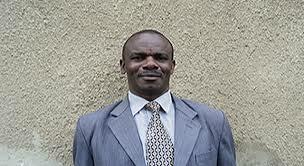 Buhweju got 1600$ in 2011/2012 financial year from government. 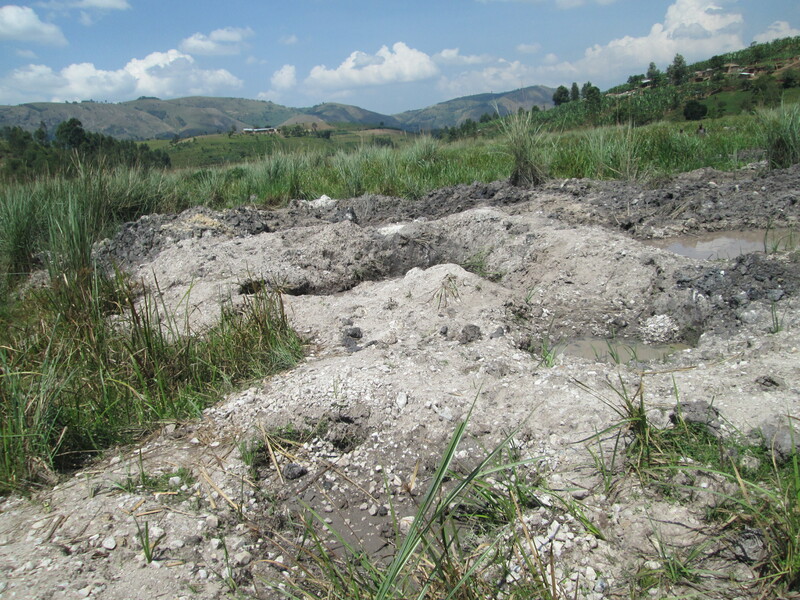 For example, in August 2013, when I and fellow journalist under the Revenue watch Institute oil gas and mining fellowship visited Geita district in Northern Tanzania, the district commissioner Manzie Mangochie told us that Geita gold mining company which extracts gold from the area was paying 200,000 Dollars as loyalty yet according to him, this is peanuts. According to the Buhweju Member of parliament Ephraim Biraro, all hope is not lost and the district is optimistic that once something changes, the area will benefit more. “First of all there is a need to review the current mining laws so that we also get a say on the management of our resource. We need to know who is doing what here and also we ought to be aware of how much gold comes from our land. If this happens, we will be able to know how much is our share and how we stand to benefit from the companies operating from our area”, Biraro elaborated during a lengthy chat with him at his Parliamentary office in Kampala. One issue that is of concern to many people in Buhweju is about the companies in the area that are prospecting. The Buhweju district council speaker Mary Bashongoka wants more transparency in the operation of these companies. “We want to know what these companies are doing, how they are doing it, what they are getting from our land, where they put the gold they get in the process and how do we benefit” Bashongoka observed adding that the companies in the area are involved in mining gold yet they do not pay taxes. This claim was raised by the local miners in all the sub counties I visited but all the companies operating in the area say they are only involved in gold prospecting. According to the Department of Geological Survey and Mines in Ministry of Energy and Mineral Development In order to participate in mineral exploration, one must acquire a Prospecting License. The license is area specific and gives authority to the holder to look for mineral occurrence of interest in Uganda, and then demarcate it. This helps to make others aware that the area is exclusively booked and nobody else should go in. The Prospecting License is not renewable and lasts only one year from date of issue. 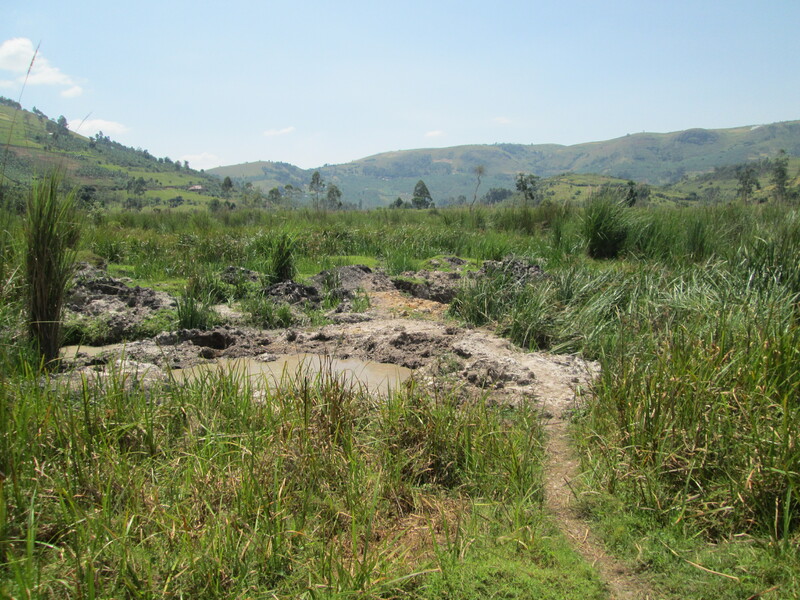 This wetland in Bukuto village is steadly vanishing. The open area is where the gold miners used to operate from. They have now shifted to another area with in the same swamp. Like any other mining area on the continent, Buhweju is facing serious environmental concerns as a result of the ongoing gold mining activities. Swamps have been destroyed as a result of the open cast mining method and it seems little is being done to halt this trend. 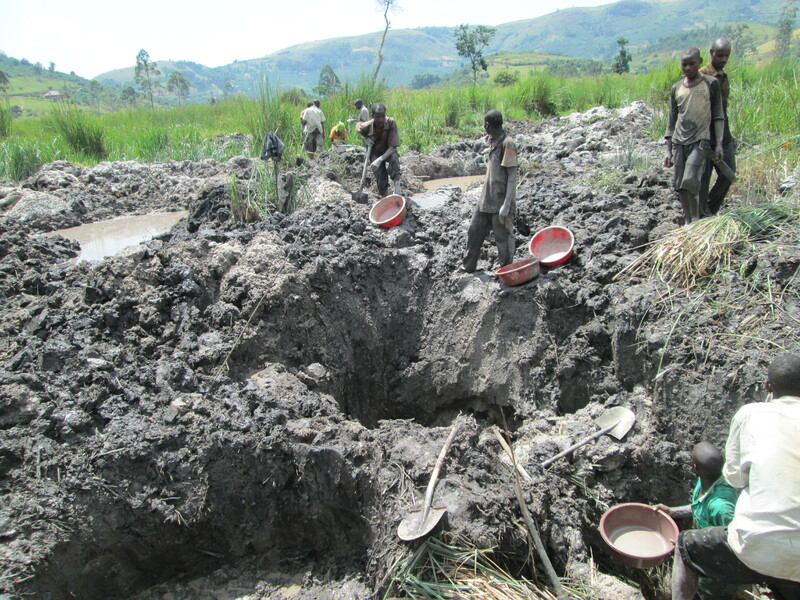 In fact miners at Nyakishana, Bukoto, Bihanga and Kyenjogyera swamps told me that they rarely see environmental officers ‘interfering’ with their work. They told me that they have an understanding with environmental authorities that they will always cover the pits they dig in the mining process to minimise on the damage to the natural swamp eco-system. However this is not the case. When I went to Bihanga, I visited a swamp that was used by miners almost two years ago but the open pits can still be seen and the vegetation has not recovered. When I asked those involved, they confessed that what is on the ground is the opposite of what was agreed upon. 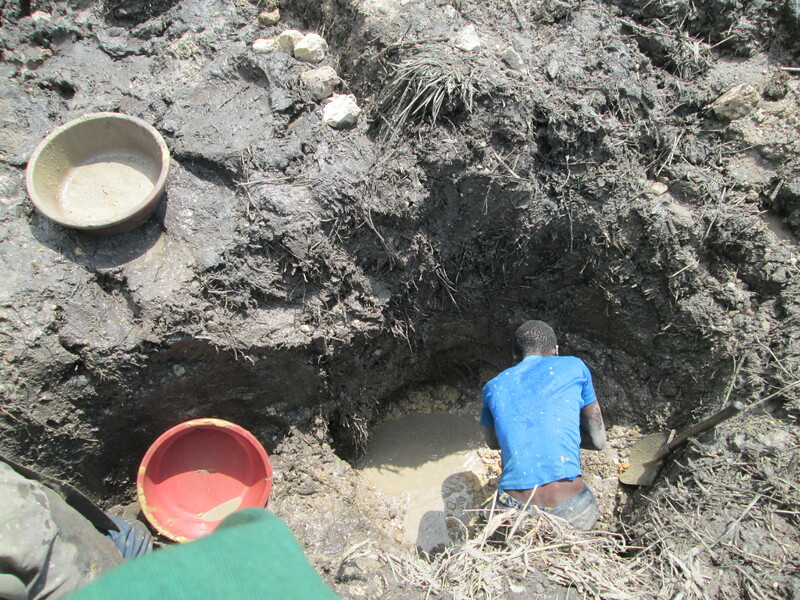 “Yes, we are supposed to cover our pits but most of us do not follow this and no one is there to enforce it”, Kakuru Everist one of the miners in one of the swamps in Bihanga sub county told this site. According to the National Environmental management Authority and the Buhweju district Environmental officer, gold miners are supposed to cover the mining pits before going to another area but this just a wish. Behind me is a wetland yet to be encroached on but soon, the gold seekers will come. According to the National Environmental Management Authority (NEMA) there should be an environmentally friendly mining. “We need the two resources. “As we do mining, we must also protect the environment for today, tomorrow and for the generations to come”, Jeconious Musingwire, a NEMA officer notes. 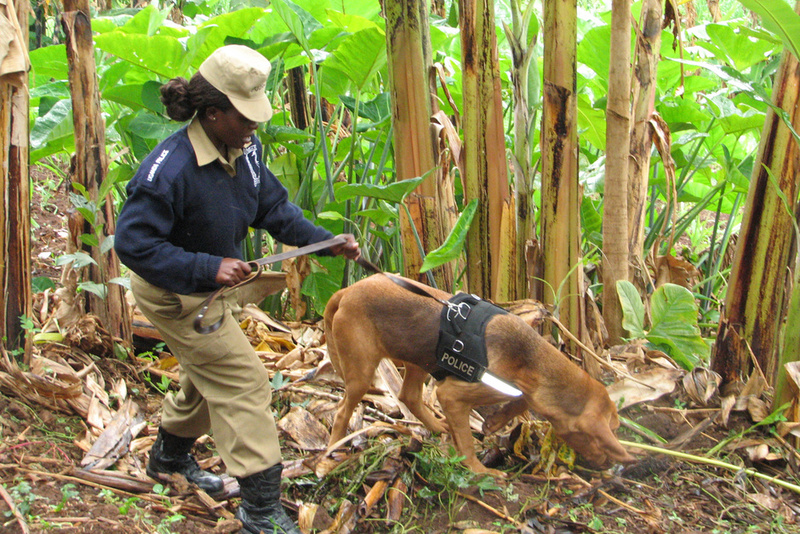 With their rudimentary tools, these Ugandans have done more harm than good to the Eco-system. This entry was posted in Uncategorized and tagged ACME, Buhweju, Cliff, Cliff Abenaitwe, Environmental degradation, Gold Mining, Mining in Uganda, Revenue Watch Institute. proportion of people suffering from extreme hunger and poverty. by hunger which seems to be going nowhere. 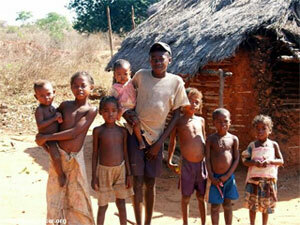 African continent still has millions of poorly fed children despite its rich Agricultural potential. 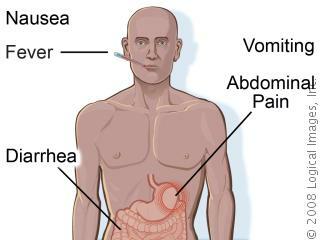 According to the UN food and agriculture 2010-2011, sub Saharan Africa is home to 26 percent of the world’s undernourished population, has the highest number of countries experiencing food emergencies due to in part, to climate extremes such as drought and exacerbated by civil unrest. The same reports reveals that Sub Saharan African still experiences increased food imports and is very vulnerable to global food price increases. Experts attribute this trend to the poor performance of the agricultural sector. research and development and over reliance on convectional technologies”, the report explains. According to Doctor Fen Beed, a pathologist from the USA who has worked in Uganda, Tanzania, Malawi and Ghana, it would be surprising if Africa met the MDG1 by 2015 but according to him, this can be achieved in years to come.“If African countries can adopt bio-technology and other good farming practices, poverty and hunger can be reduced but this will be after 2015,” he added. 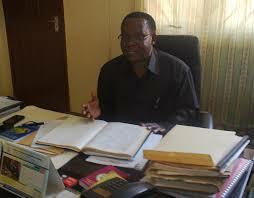 Other scientists also agree with Doctor Beed on the role of bio-technology in agricultural improvement in Africa. In the book Insights; Africa’s future.. can bioscience contribute?, Calestous Juma, a world renown scientist argues that African agriculture will need to intensify the use of science and technology more than would have been the case without the threats of climate change. “Investment in science and technology will be required along the entire agricultural value chain from resource intelligence through production, marketing, storage and ecological rehabilitation,” he explains. Synonymous with what the researchers are recommending, African countries are making commendable progress in the use of Bio-science. At Mukono zonal agricultural research and development institute research into improved crop species is under way and the institute has already developed improved fruit varieties. “The breeds we are developing as a result of grafting and cross breeding are disease resistant, quick maturing and high yielding,” Robinah Gafabusa, a fruits and vegetables research technician at this institute explains. Planting of poor crop varieties will give you poor yields and this further deepens poverty and hunger problem in Africa. At the National research Organization NARO, researchers are developing different crop varieties to help farmers cope with the problem of diseases and low yields. 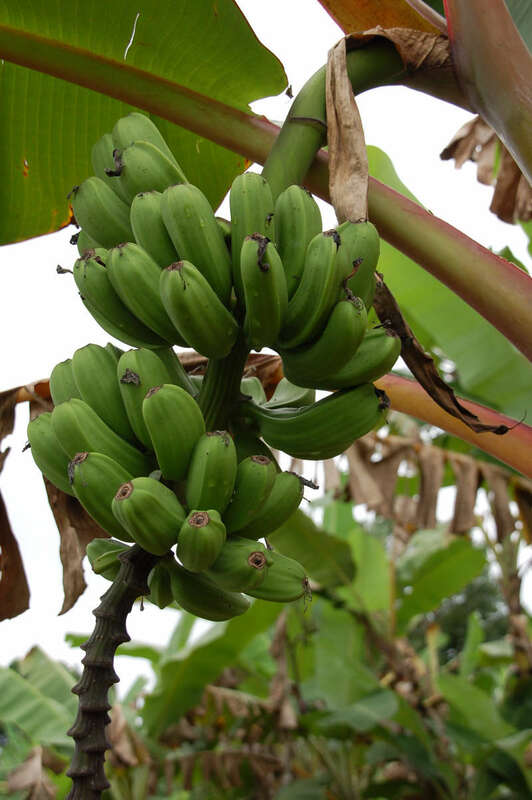 According to Tendo Sali Lauben, a crop breeder at NARO, they have already developed banana varieties like M20, M9, M21 which mature fast, are disease resistant and they give high yields. The difference is clear. 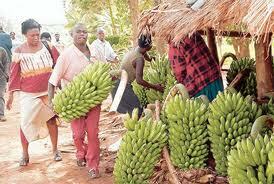 Improved Banana varieties will give better yields. Numerous research institutions and scientists are currently working on developing different Bio- technologies and the African continent is getting itself ready for genetically modified technologies. 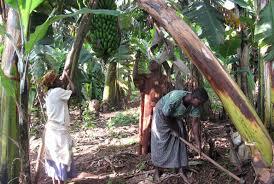 However, Doctor Charles Lagu from the Mbarara agricultural research and development institute is calling for more sensitization of the farmers to adapt to these technologies if the current efforts are to bear fruits. 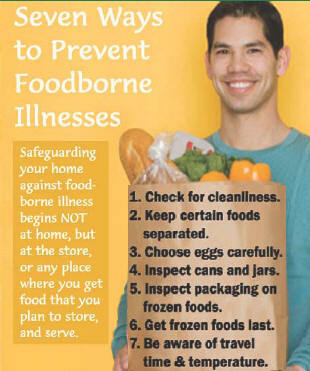 It is estimated that by 2050, the world population will increase to 9 billion people and this will increase food demand. The food and agriculture organization of the United Nations (FAO) is predicting that food production will need to increase by 70 percent. 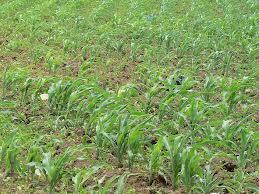 If Africa embraces Bio-technology and other good farming practices, agricultural input will be increased. This will give people enough to eat and the surplus for the market. To me, scientists and researchers, embracing Bio technology and genetically modified technology for agricultural improvement is the way to go and we all have a role to play in this. This entry was posted in Abenaitwe Cliff, Agriculture, Bio-Science in Africa, Food, Hunger, Millenium Development Goal, Poverty, Uncategorized and tagged B4FA, Bio-science, Cliff Abenaitwe, hunger, Millenium develoment goals, poverty. Two police officers attached to Mukokya police post in Kasese District, Western Uganda were Friday killed by suspected Rwenzururu tribal agitators. The fateful incident happened at approximately 6am when a group of about 15 residents attacked the post with one automatic rifle and an assortment of spears, machetes, knives and shields. In what appears to be a puzzling incident up to now, a police constable Ssemakula Mugabi was stubbed in the neck and he died on spot while the post commander Corporal Sunday Levi died later as he was being taken to Kirembe hospital. The Western Regional Police Commander Wilson Kwanya confirms the incident which also left another police Constable Mandule Wilson badly injured. Kwanywa told this site that three errant attackers were killed by police, two police rifles were as well taken by the foes as they retreated while some people have been arrested to help police in the investigations. Police sources have identified the killed assailants as Alamazan Baluku, Zakayo and Daniel all residents of Kasese district. Kyanywa says the intentions of the attackers are not yet clear but rules out any link to Uganda Congo cross border conflict. “The reason for the attack is not known at this point, but thought to be connected to local inter-tribal conflict and is not connected to the recent activities across the border in the Congo”, he explains. This is the first attack on a security establishment in this area where people are sharply divided along tribal lines. This entry was posted in Uncategorized and tagged Abenaitwe, Cliff, Cliff Abenaitwe, Crime in Uganda, Human rights in Uganda, Kasese, Rwenzururu, Uganda, Uganda police.